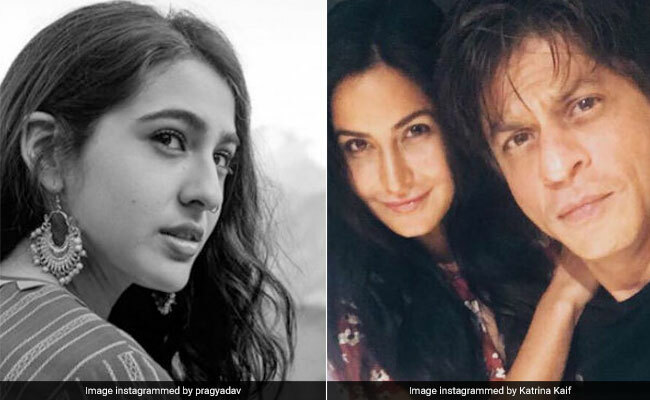 Is it Aanand L Rai's film with Shah Rukh Khan vs Sara Ali Khan's Kedarnath on December 21, next year? Well, Kedarnath's producer Prernaa Arora clarified and shared that she plans to move the date in order to avoid a clash with Shah Rukh's movie, but there is no alternative she can think of right now. In an interview with Indian Express, she said, "Right now I really don't know. Of course, we are on 21st because delays due to weather had happened, we were planning to release it on Eid this year but because it is a huge film and even production wise it is a huge challenge for Abhishek Kapoor (Kedarnath director). So, we had no option. As it is we have five releases starting from John Abraham's Parmanu, Anil Kapoor and Aishwarya Rai Bachchan's Fanne Khan, Anushka Sharma's Pari and now we have Vishal Bhardwaj's film on October 2." Prernaa further added: "There is some internal discussion happening with Red Chillies (SRK's production house) and I will definitely look into the best possibility of making an adjustment because we have also Simba (Ranveer Singh's film, set to come on December 28) ahead of us. In the interview, the producer clarified that there was no fight happening between her and her director, and they just happen to be two individuals with different opinions. The decision on the film will be collectively taken by her and Abhishek, she added. "Kedarnath is a very important film. It is dedicated to Shiva. It is being shot in the biggest pilgrimage in India. It talks about brotherhood, unity and Hindu-Muslim. Abhishek has done such a marvellous job. It has been spectacularly shot. We both are really not affected because what do we do? To shut down the speculation, he immediately tweeted that. I don't have a date. I am coming on 21st December," Indian Express quoted Prernaa as saying. Kedarnath is Saif Ali Khan and Amrita Singh's daughter Sara Ali Khan's debut film. The film will also star Sushant Singh Rajput while in Aanand L Rai's yet-untitled film Shah Rukh will feature as a dwarf and will re-unite with his Jab Tak Hai Jaan co-stars Anushka Sharma and Katrina Kaif.